Anancy loves bananas but he hasn’t got any. So off he goes to Linstead market to find some. While he is there he meets his friends the monkeys, the tigers and the elephants who all have lots of bananas. 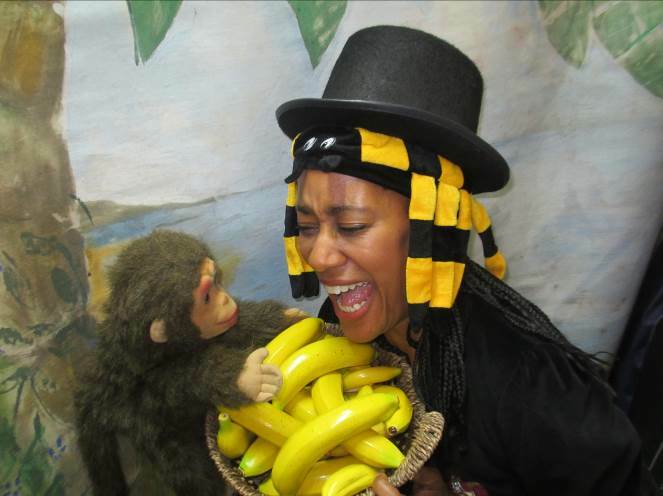 Trickster Anancy is always getting up to mischief, so how does he get his bananas? Yellow bird gives him some wise words of wisdom. 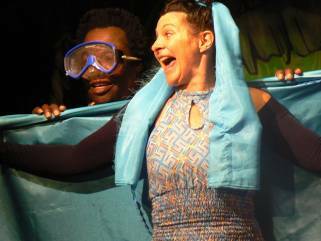 Enjoy this interactive story with role play, costumes, music singing and a valuable message. 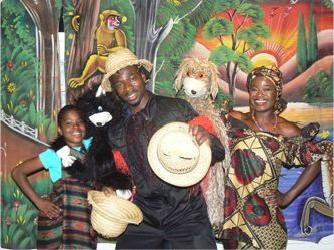 songs, drumming, musical instruments, costumes, da ncing and traditional music. Suitable for younger children. Suitable for 3 year olds and above. Jane Mcathy. The Design Museum. Particularly suitable for nursery, reception and infants. Anancy does not know how to share with his friends. However he does eventually learn a valuable lesson when he befriends beautiful Miss River. Anancy loves to dance, splash and swim with Miss River but when he invites her to his house for a party he gets even more wet than he bargained for! £275 plus Vat for 2 artists – 45 minute show with story telling,back drops, props, songs, audience participation and live music. Half day and full day bookings with drumming/drama workshops available. Boacy rat is no ordinary rat. He is the finest gentleman and best dancer in the whole of the Caribbean. 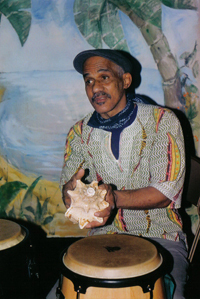 But when Boacy Rat meets Brother Cockroach the best drummer in the Caribbean, he is challenged to a competition. With a little help from their friends the audience we have a vote to see which dancing / drumming group gives the best performance. £275 plus Vat for 2 artists – 45 minute show with story telling,back drops, props, songs audience participation and live music. Half day and full day bookings with extra performances and or drumming workshops available.